Please note that this current website does not have a shopping cart. To buy our Voodoo Flags online, please go to our e-commerce website at NaturalExotics.ca. 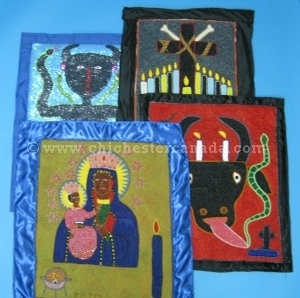 These beautiful Haitian voodoo flags (drapo, in Creole) can be used for voodoo rituals or for decor. 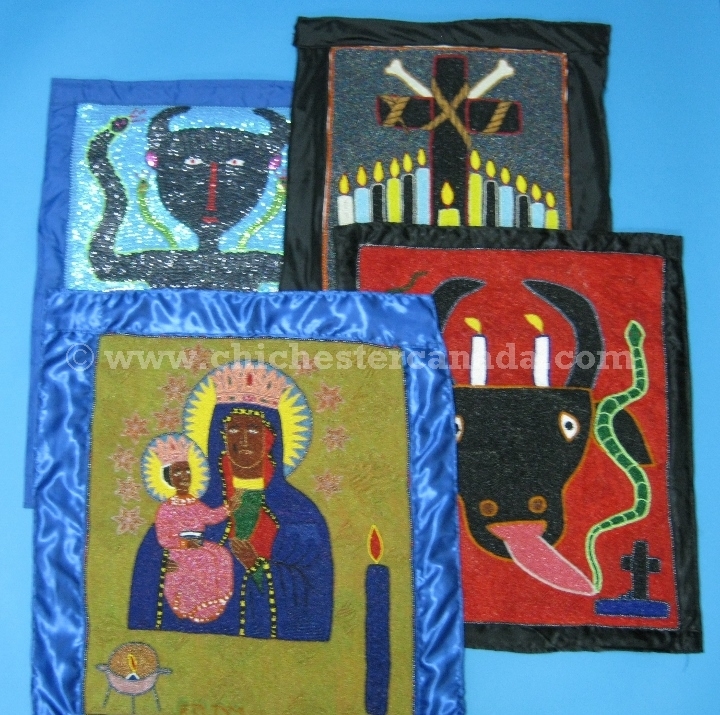 Traditionally worked by voodoo priests, they are handmade by Haitian artisans using fine beads and/or sequins on blue or black silk fabric. Each depict either the symbol or the image of the spirit or loa it is devoted to.